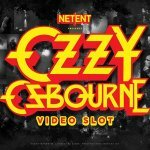 Before the Ozzy Osbourne™ slot was announced at ICE 2019, NetEnt revealed another branded video slot as well. NetEnt announced that players can start looking forward to the Barbarian, the sword-wielding menace that will be the main character in the action-themed Conan™ slot. I’m going to be honest here! I seriously never even heard of Conan! Do I have to be ashamed? Not really! Even though Conan appeared in three movies, the first one came out before I was even born in 1982. I guess it’s also fair that I don’t remember the second movie that premiered in 1984. The last Conan movie – Conan the Barbarian – could ring a bell as it appeared in the cinemas in 2011, but I can’t recall that either. Considering the poor critical reviews and box office results, it isn’t weird that I don’t recall this last movie either, even though it’s Jason Momoa that was selected for the role of Conan. However, this actor gained his fame after Conan the Barbarian thanks to his role as Khal Drogo in award-winning television series Game of Thrones!! There’s a good chance that if Conan the Barbarian had brought out in 2019, the reviews and box office results would have looked different.This conclusion is based on the success of the film Aquaman released in 2018 and the Netflix series Frontier as both proved to be a huge success! Before Conan appeared to the movies, the character came a long way as Conan was created by writer Robert E. Howard in 1932 in a series of fantasy stories published in Weird Tales magazine. After the mythical hero originated in pulp fiction magazines, it was also adapted to books, comics, cartoons, video games, and the films Conan the Barbarian (1982), Conan the Destroyer (1984), and Conan the Barbarian (2011). Before it will also appear in a video slot, the fictional sword and sorcery hero will be given a makeover by NetEnt to fit in with its much-loved, inimitable style. 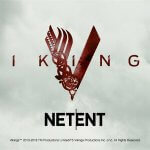 NetEnt’s diverse selection of exclusive licensed slots is growing and already includes a wide range of brands including Narcos™, Vikings™, Jumanji™, Planet of the Apes™, Guns N’ Roses™, Motörhead™, Jimi Hendrix™ while it was also during ICE 2019 that the Ozzy Osbourne™ slot was announced. “Conan is a character and a brand with a fantastic history and legions of fans all over the world. We are honoured to be creating our own adaptation of Conan and can’t wait to give him the hallmark NetEnt treatment.” said Bryan Upton, Director of Games at NetEnt. I have no clue yet what the Conan™ slot is going to bring, but the above trailer does promise exciting animations of high quality! 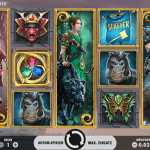 Conan the Barbarian has wowed fans for generations and it looks like his legacy continues to grow thanks to the Conan™ slot! I have no information about the official launch date, but considering the fact that a trailer has been published already, I expect this new licensed slot to make its appearance at the NetEnt Casinos. 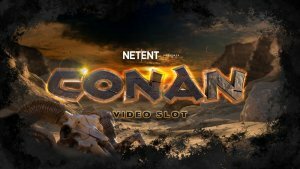 If the Conan™ slot will be launched in 2019, NetEnt might end up releasing an amazing 4 licensed slot in 2019! 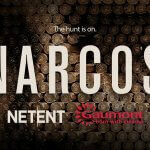 We’re still waiting for the Narcos™ slot that was announced one year ago at ICE 2018. So far I know there’s no official launch date known yet, but it must be 2019 as they can’t keep their fans waiting for too long! 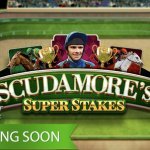 On the 7th of March, NetEnt will release the Scudamore’s Super Stakes™ slot as the first branded slot in 2019 in collaboration with eight-time Champion Jockey Peter Scudamore. 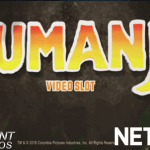 If both the Ozzy Osbourne™ slot and the Conan™ slot will become available at the NetEnt Casinos this year, the total number of licensed slots launched by NetEnt this year will be four. That’s a lot to look forward to!